Thank you for finally pulling it together Maybelline. I feel like Canada is the delinquent stepchild in the cosmetics industry and we have to wait for the good kids to get their fill first (I’m looking at you U.S). 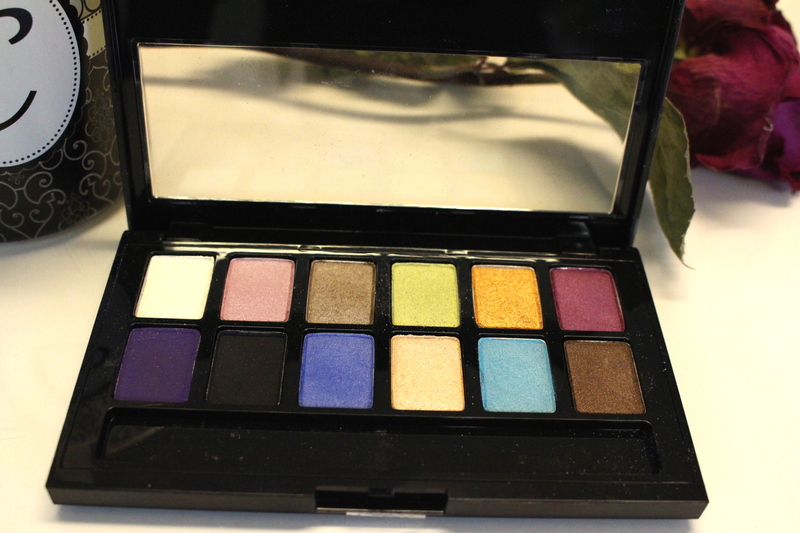 Anyway without further anticipation here is my review of the Brights by Maybelline. To be honest I am surprised I was still interested in trying this because their predecessors (the Smokes and the Nudes) left something to be desired. Not terrible, but with stuff like this on the market… I’m just saying. Packaging is the same as the other two and sturdy enough. Comes with the typical Maybelline eye studio four sided sponge tip applicator. I normally do my swatches without primer, but in this case it didn’t work out so well, so I decided to do three options. The darker colours work much better over the UD Primer potion, but all perform the best over the Nyx Milk which is expected. The shadows are not smooth, and the gold, and rose gold colours are gritty and overly glittery. I did two quick looks while I was getting ready to see blendability and colour pay off on the eyes, which we all know can be VERY different from a swatch. This is what I came up with. I used the gold, dark blue, light blue and rose gold for this look. I also had to substitute in the Lorac Pro for a crease colour because I’m fancy like that. The gold was SO glittery I almost couldn’t work with it. There was fallout all over my face and in my lashes. The darker and lighter blue, while on the eye, are almost identical. 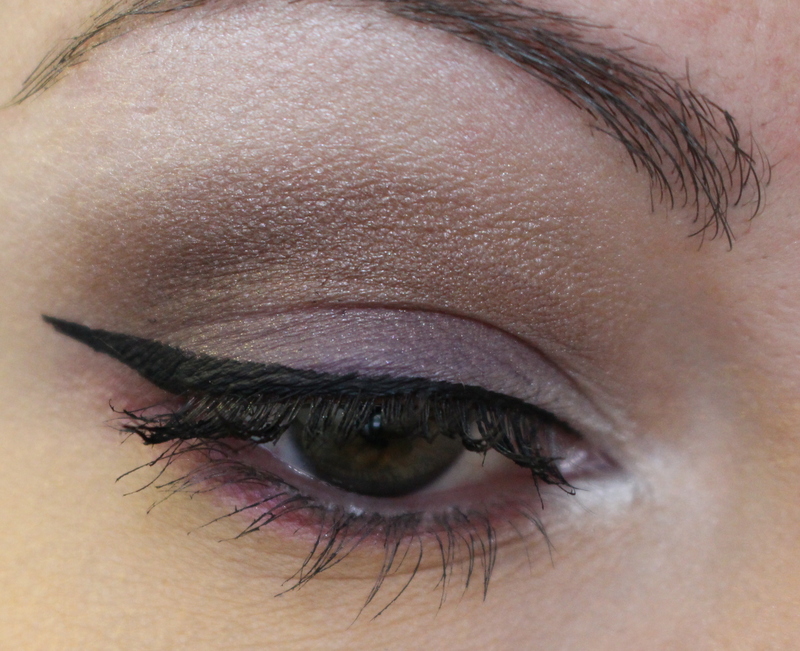 For this look I used the dark purple, dark brown, dark pink, and white highlight shade. 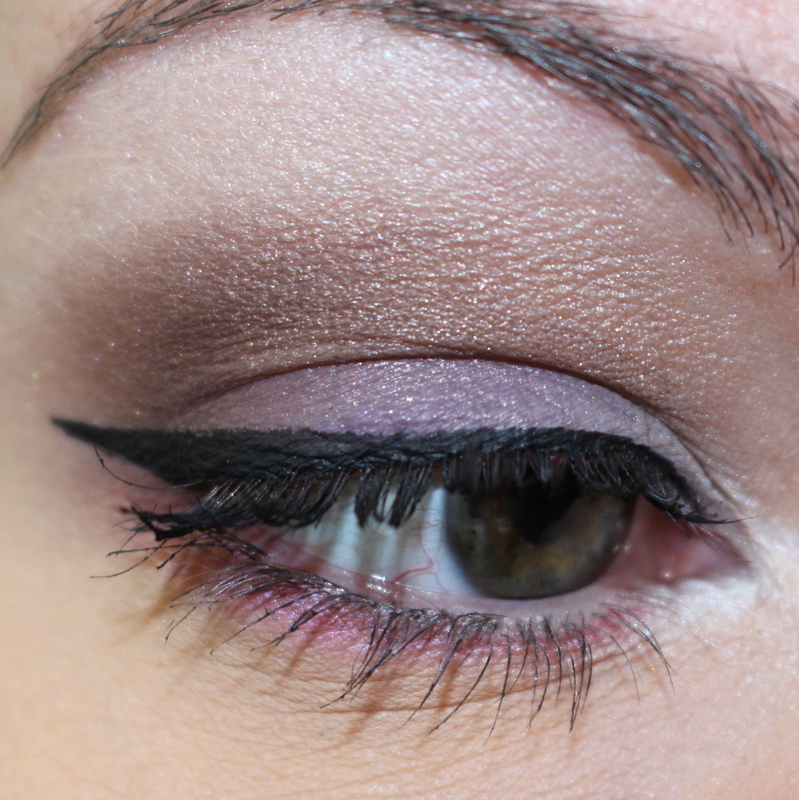 Purple all over the lid, brown in the crease, white on the inner corner and brow bone. Dark pink on the lower lash line. I used drugstore eyeliner and drugstore mascara with both of these looks, to show that using only drugstore options are completely possible, as is beauty on a budget. Overall the palette is better than the nudes and the smokes, but still isn’t amazing. The best shades by far are the brown and the white. The gold is probably the worst because of the gritty fall out.